From ancient times, the Japanese people have respected nature and appreciated its power that transcends human knowledge. People believed that gods resided in natural creations such as mountains, rocks, and trees. Shrines that were built to worship the gods housed statues representing deities and their accompanying divine treasures. These statues and treasures have been carefully preserved at Shinto shrines, places revered as sacred. This exhibition, on the occasion of the 62nd grand relocation of the Ise Jingu shrine, will be held with the full cooperation of Jinja Honcho (Association of Shinto Shrines) and shrines across Japan, presenting a rare opportunity for a comprehensive view of treasures and cultural heritage related to Shinto shrines and deities. 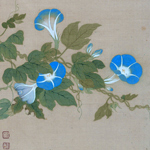 This exhibition introduces the Japanese painting collection of the Cleveland Museum of Art, a leading art museum in America. 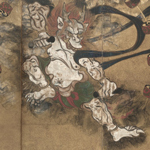 Through a well-balanced and extremely high-quality collection organized by themes and eras, this exhibition highlights the history and attraction of Japanese art. Some decorative art artists, receiving praise for their dedication to and pursuit of their art forms, are selected as Living National Treasures. This exhibition, the first of its kind, displays masterpieces by successive generations of Living National Treasures, together with famous examples of decorative art that include National Treasures and Important Cultural Properties. This exhibit features a portrait of Hasekura Tsunenaga, which is a portrayal of Hasekura in Rome when had an audience with Pope Paul V. Together with the portrait, Europeans in Japan, as well as the Map of the World, a work reminiscent of Hasekura's travel route across the Pacific Ocean and beyond Mexico, are also introduced. These two works are examples of Nanban Art, a style of Japanese art which flourished with influences from European culture. 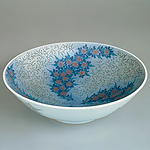 This exhibit aims to present an aspect of cultural exchanges between Japan and Europe four centuries ago.